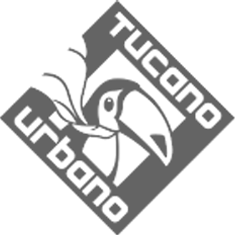 Tucano Urbano's 100% soft polyester bandana, which can also be used as a scarf. Wear it with an open face helmet for extra warmth and protection from the wind. Available in six different styles. Available in: Compass Rose, Crazy Rhombus Black and White, Crazy Rhombus Orange, Fast Way, Micro Pois Biking Red and Micro Pois Biking Peacock.